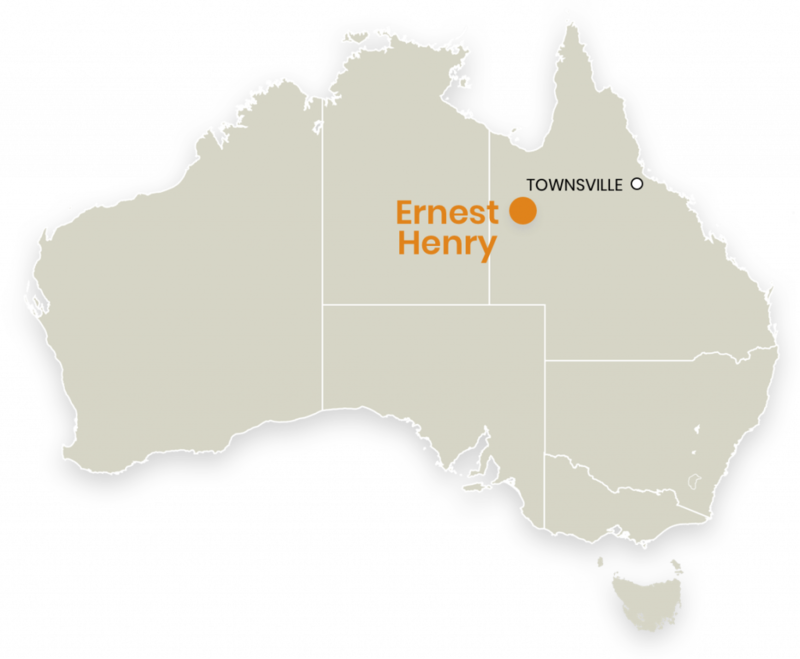 The Ernest Henry copper-gold operation is a large-scale, long-life asset operated by Glencore. The operation employs a sub-level caving ore extraction method. It is located 38km north east of Cloncurry, Queensland. In November 2016 Evolution acquired an economic interest in Ernest Henry that will deliver 100% of future gold and 30% of future copper and silver produced within an agreed life of mine area. Outside the life of mine area, Evolution will have a 49% interest in future copper, gold and silver production from Ernest Henry. The Ernest Henry transaction has materially improved the quality and longevity of the Group’s portfolio and reduced the cost profile. Total FY18 gold production of 95,209oz was above the top end of the 85,000 – 90,000oz guidance range. AISC of A$(641)/oz was substantially below guidance of A$(200) – A$(150)/oz. Full year net mine cash flow was a record A$219.2 million.